I was thinking about how I often use Oreos at the bottom of mini cheesecakes (another new recipe next week!) so it got me thinking into using a peanut butter Oreo at the bottom of the peanut butter cup. I’d start the process like normal with some chocolate in the wrapper and then slip an Oreo in before the peanut butter. 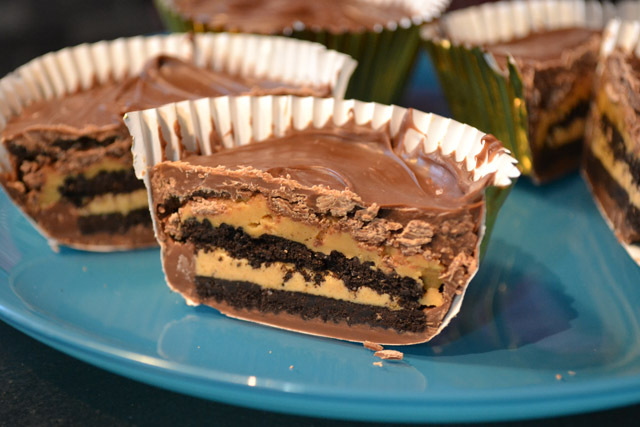 This would make some some great layers in the peanut butter cup. Plus more chocolate and peanut butter can’t go wrong! If you love peanut butter or Oreos or chocolate you will love these. I’ve already had requests to make more. Melt the milk chocolate. 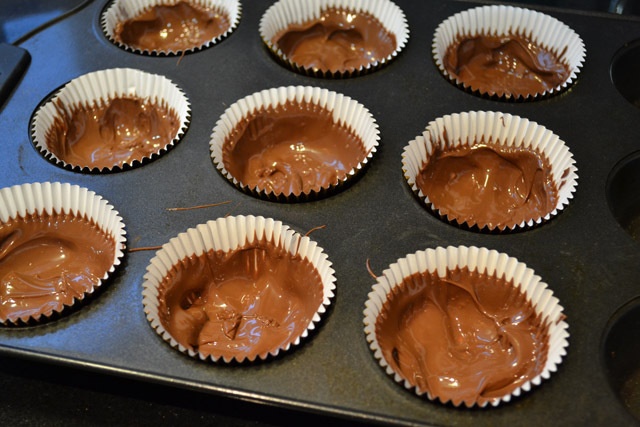 Put a 1 1/2 tablespoons of chocolate in each wrapper. Pull the chocolate half way up the wrapper. Put an Oreo cookie in each wrapper, pushing it down into the chocolate. 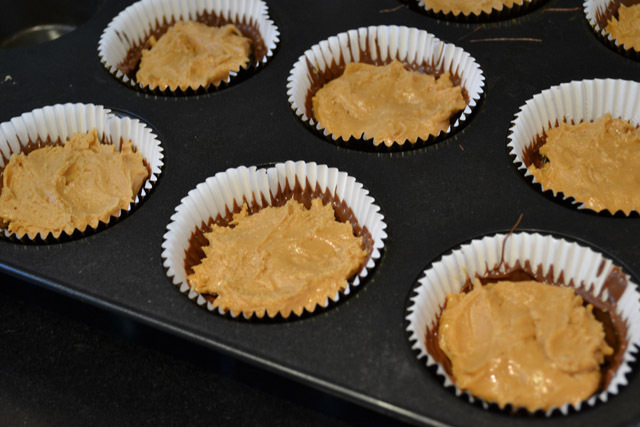 Microwave the peanut butter until warm and easy to mix, approximately 30 seconds. 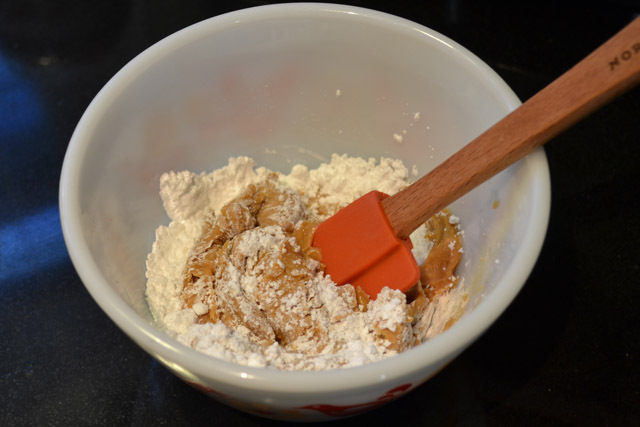 Mix the powdered sugar and talk into the peanut butter. Spray your hands with no stick spray then divide the peanut butter mixture into 9 even balls and then work into disks the size of Oreos. 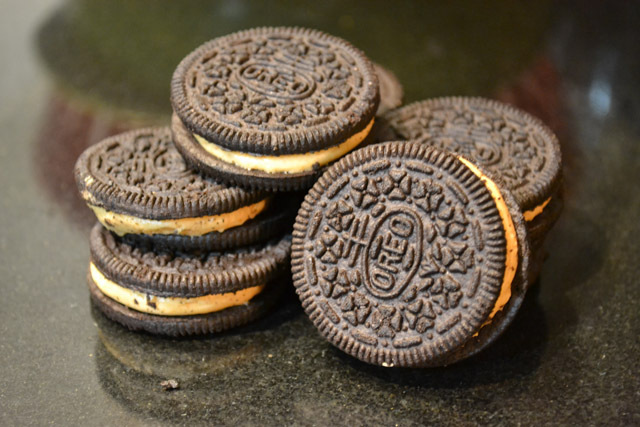 Press the peanut butter disk on top of the Oreo cookie. Then cover the peanut butter completely with the remaining chocolate.